We love working with Austral Plywoods. Not only is their material beautiful, it also uses Hoop Pine - a sustainable resource that is 100% plantation grown. However, working with plywood poses a challenge when it comes to managing thickness variations for production. The material variations are due to the natural irregularities in timber and moisture absorption in different climates. We believe it is the industrial designers, not the manufacturers, that are responsible for understanding and catering for possible variations during cnc routing or laser cutting. 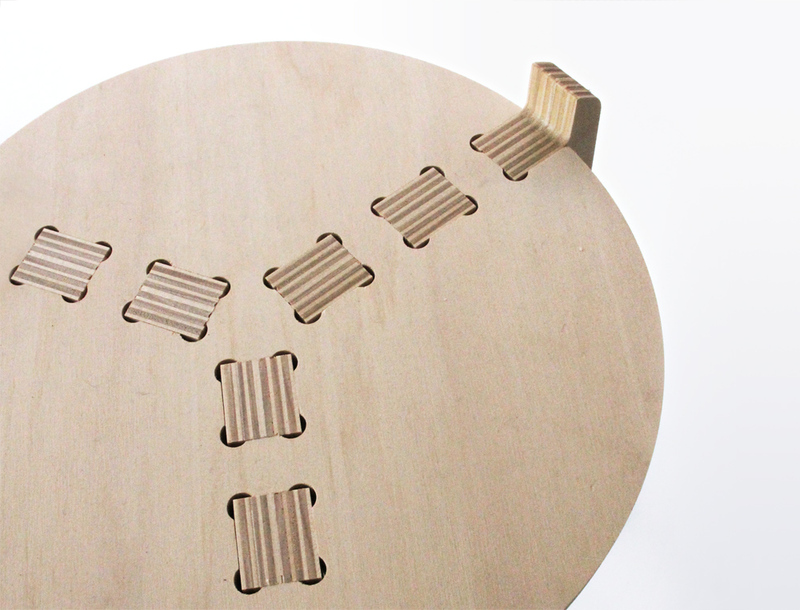 With FromWoopWoop's T-stool we're adapting the connections to achieve a tight accurate fit in one direction allowing the material thickness to vary naturally in the other direction. Allowances for both thin and thick sheets are essential to ensure consistent and dependable production runs. Designing with these considerations requires a process of thorough testing and intelligent design thinking. Studio Periscope’s ply challenge is on. Let us know about your next plywood project, we'd love to collaborate!